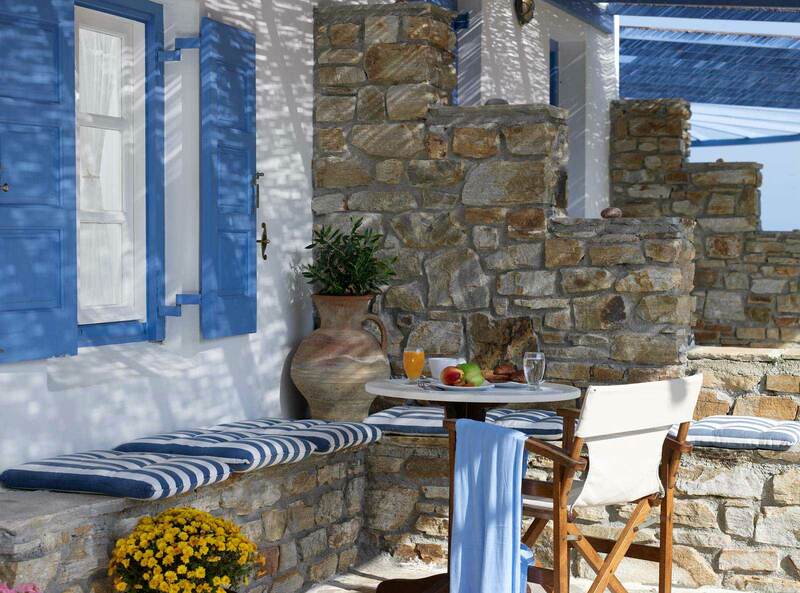 Although this accommodation type is the smallest of Villa Marandi, it is one of the most beautiful. 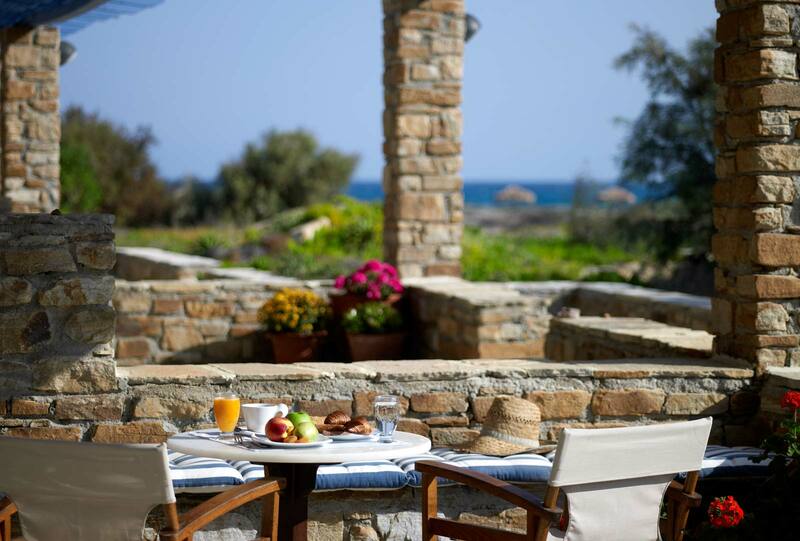 It offers the high level hospitality of Villa Marandi Suites at an extremely attractive rate. 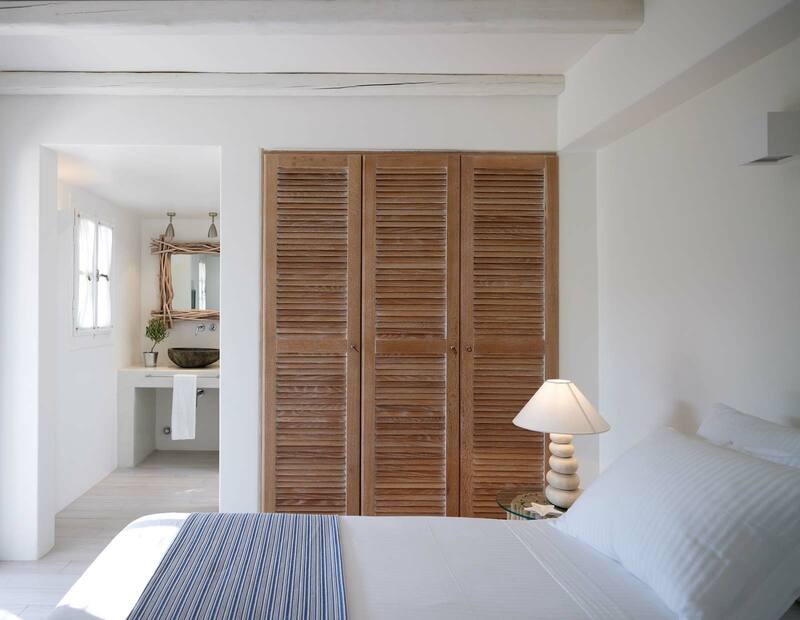 At its 20 sq.m., you will find a king size bed or twin beds, a wet mini-bar, a luxurious bathroom with crystal enclosed, built-in-wall, hydromassage shower, a washbasin hewn from solid rock, and a spacious, furnished terrace with beautiful view. 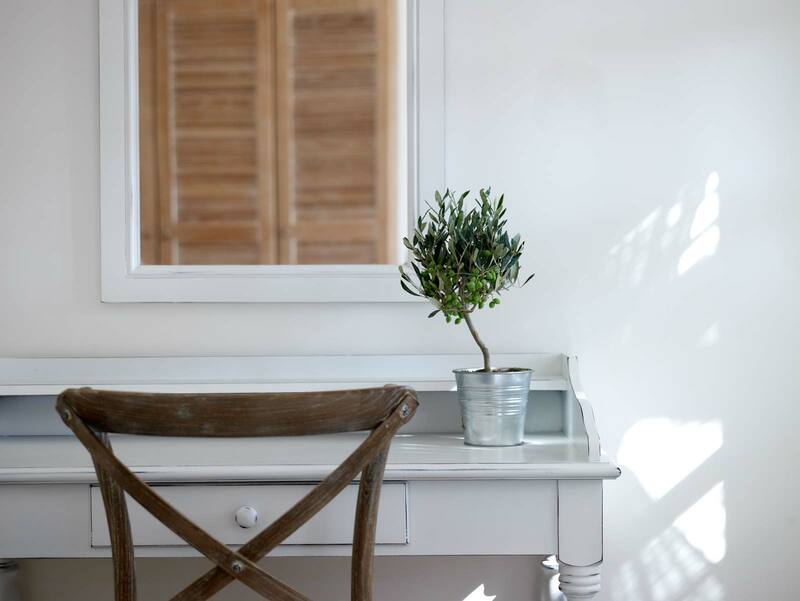 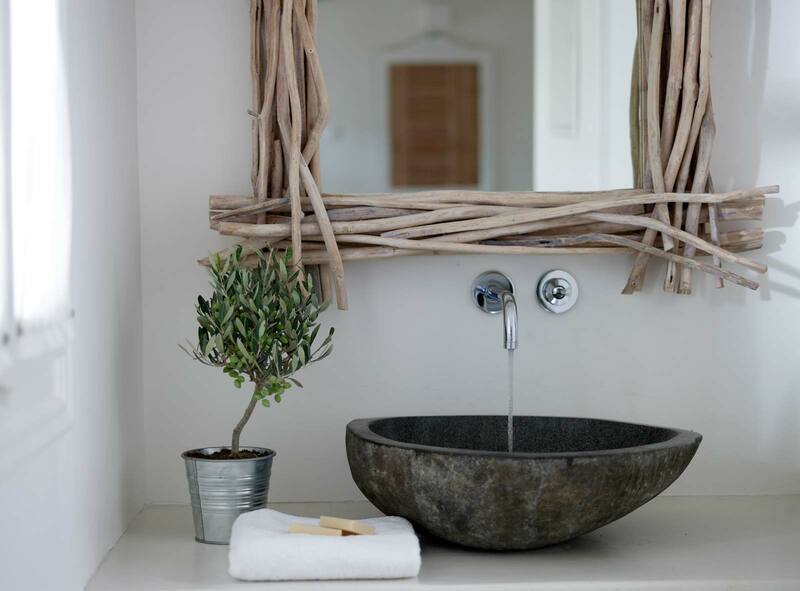 The decorative details with driftwood, shells and sea pebbles and the discreet lighting, create a lovely room for your holidays in Naxos. 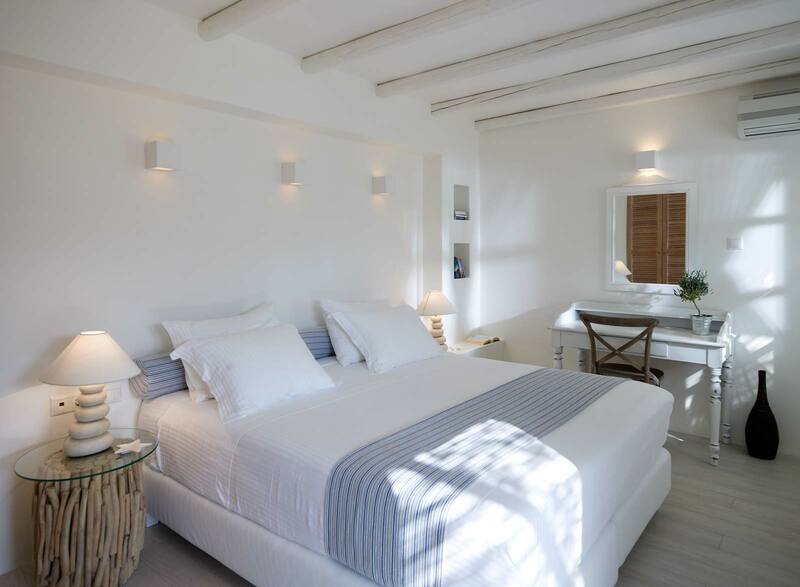 The Cycladic Standard Double is located at the ground floor.